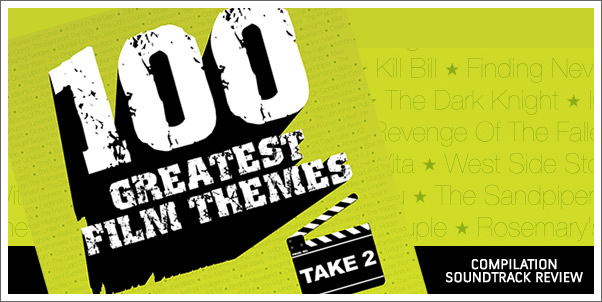 The challenge with putting together a collection like the 100 GREATEST FILM THEMES – TAKE 2 from Silva Screen Records is not in selecting the music itself, because there is no shortage of viable candidates and, by and large, the selections that have made their way onto this massive 6-disc set live up to the album’s titular promise. The trick is to pick and arrange the music in a way that showcases the diversity of the film score medium while providing enough familiar tracks to engage a general audience and enough obscure ones to ensure that even film score buffs are in for a fresh treat. Luckily, with this fifth release in their “100” series, Silva Screen Records has created a tasteful and extensive set that reaches through all facets of the past 70 years of the art form, albeit with some rough performances along the way.